If a foot or ankle injury prevents you from being physically active, non-surgical regenerative medicine solutions are within reach. At the Center for Podiatric Medicine in the Chicagoland area, the team of board-certified podiatrists uses innovative EPAT shockwave therapy, amniotic membrane injections, and PRP injections to heal injuries naturally. Call one of the offices conveniently located in the River North neighborhood of Chicago, Schaumburg, or Elmhurst, Illinois, or in Highland, Indiana, to learn more, or book an appointment online today. Several famous athletes, such as Brian Urlacher, Derrick Rose, Tiger Woods, and Kobe Bryant are known to use regenerative medicine to heal from injuries quickly without surgery. 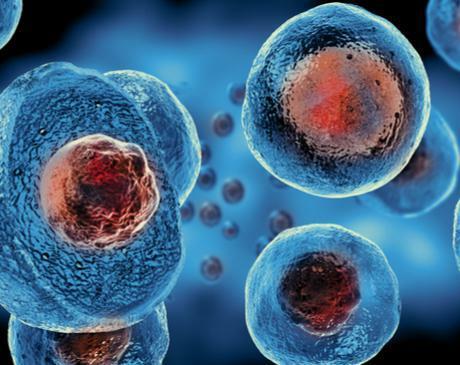 What are some regenerative medicine treatments? Amniotic tissue is the most recent addition in regenerative medicine for foot and ankle applications. Amniotic membrane is the inner layer of the placenta that surrounds the baby during pregnancy. Elective donations of amniotic tissue and umbilical cord are given after an extensive screening process and made into injectable and graft forms. Once placed into the body these tissues are able to recruit your body’s own stem cells and growth factors to promote healing. This guides the regenerative healing process while reducing inflammation, adhesions, and scarring. Applications include conditions such as chronic heel pain (plantar fasciitis), Achilles and other tendon tears, and non-healing wounds. These can be given in our offices or as an out-patient hospital procedure. Platelet-rich plasma (PRP) injections use stem cells from your own blood to heal foot and ankle injuries. A doctor draws your blood and spins it in a centrifuge to make stem cells more concentrated, and injects the solution into the injured area to enhance healing without the risk or recovery time associated with surgeries. The Center for Podiatric Medicine uses the EPAT Shock Wave treatment in our office to start the regenerative healing process. Extracorporeal Pulse Activation Treatment (EPAT) is an FDA-approved, non-invasive treatment based on a proprietary set of unique pressure waves that stimulate the metabolism, enhance blood circulation and accelerate the healing process. Healing tissue often stalls or stops completely causing a chronic condition. The shock waves force your body to heal itself. The treatment is non-invasive, requires no anesthesia, safe and cost-effective. It allows faster healing in ligaments, tendons, muscles and even some bone. Studies show effective outcomes in chronic heel/arch pain (plantar fasciitis), tendonitis, sesamoiditis, and other chronically injured tissues. In office treatment takes about 10 minutes. Optimal results typically require 3-5 treatments at weekly intervals with complete healing at 12 weeks. Patients can return to work and exercise often with immediate reduction of pain levels. Traditional treatment methods for these chronic, painful conditions include: drugs, injections, immobilization, physical therapy, rest and even surgery. Shock wave treatment can replace or enhance these traditional methods, significantly reducing recovery times. This is the same technology that is used on Olympic, professional and college athletes to accelerate healing and return to play. Your podiatrist lets you know if regenerative medicine best meets your needs. If you have a foot or ankle injury, especially a minor one, regenerative solutions help you quickly return to daily activities, save money, and avoid anesthesia and surgery. To find out if regenerative medicine is right for you, call the Center for Podiatric Medicine or book an appointment online today.